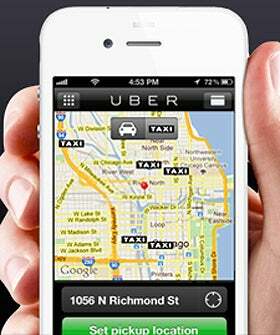 Uber Wants To Take You For A Ride–For Free! If you have anywhere to be in the next three days, we suggest taking a Uber TAXI to get there. Apparently, just because we're special, all Uber TAXI rides from now until Wednesday, June 27 are free up to $20. We know, we don't understand it either, and we kinda don't care. Feeling like a VIP (for free) for a few days sounds just fine to us. The simplicity and convenience of having your taxi arrive at your destination, rather than having to trek to a main street and flail your arms about for five minutes, sounds delightful. There is literally no reason not to take Uber up on its sweet little offer, so make the start of your week a little sweeter — and less expensive.